Club Create is an essential source of inspiration for papercrafters looking to create amazing cards and projects using the best craft materials on the market. 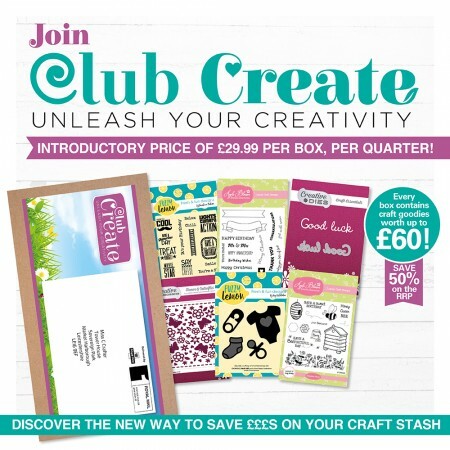 Every box from Club Create is full of a mystery mix of high value crafting goodies, chosen by our expert design team, to save you money and inspire new ideas. 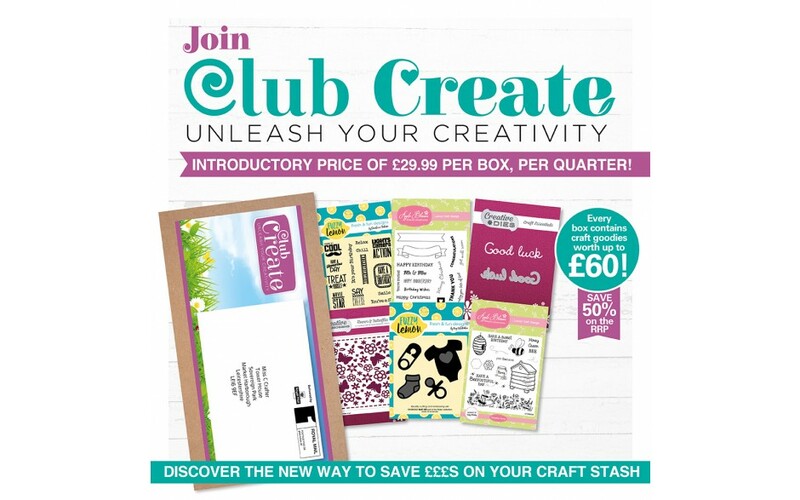 Club Create is brought to you by Practical Publishing International Ltd, the UK’s no.1 craft magazine publisher so you can trust that only the highest quality products will be selected for each box. *UK offer only. Your subscription will start with the next available box. For full Club Create terms please visit www.moremags.com/clubcreateterms. Offer ends 31/12/18.